An AR set made for Ziggo Sport, a Dutch sports channel. 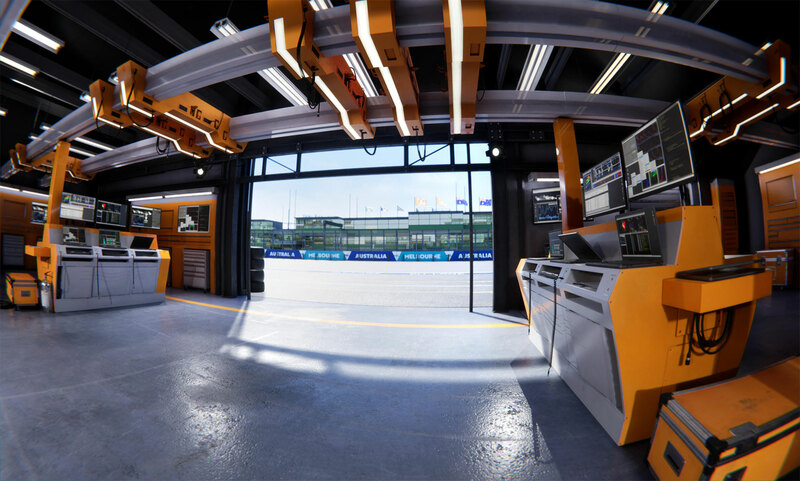 This pitbox is used for the live F1 qualification rounds. Rendered with Unreal Engine 4, live in-engine compositing using Zero Density’s Reality. I was responsible for various techart tasks, including image quality and fidelity, lighting and performance. See the article on the AR production we did for Eurosport for more information on Realtime Augmented Reality for Broadcasting.